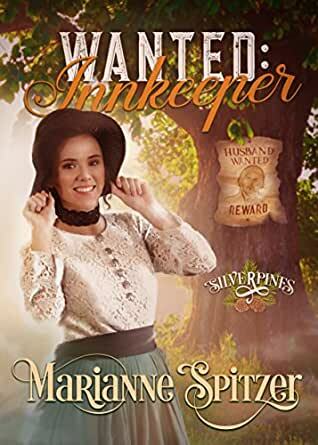 Wanted: Innkeeper: Silverpines Series (Book 6) - Kindle edition by Marianne Spitzer. Romance Kindle eBooks @ Amazon.com. Ella Grace Mulvaney, a twenty-two-year-old orphan, lives in the Howard House Orphanage for Girls in Silverpines, Oregon. 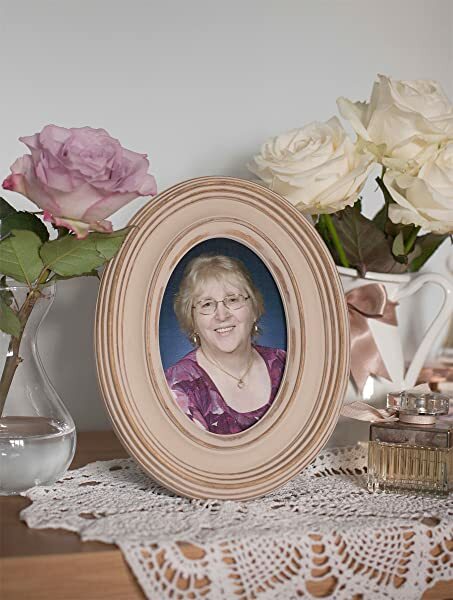 Along with her eight “sisters,” she has been well educated in decorum, all aspects of taking care of a home, and every subject her spinster guardians deem necessary to survive in a man’s world. When tragedy strikes, Ella Grace is left in charge of the local Inn. Trying to save it from being sold to disinterested East coast buyers, she decides to send for a mail-order husband who would also purchase the Inn. Michael Karson, tired of running the family hotel in Wisconsin, desires to head West and answers Ella Grace’s ad in the Grooms Gazette. He likes the idea of purchasing an Inn far from home but isn’t sure about marrying someone sight unseen. Surely, just answering the ad isn’t a commitment and buying the Inn doesn’t mean marrying the girl. Will love draw these two young people together or will a love-struck, dangerous miner, Michael’s tyrannical father, and a rifle-toting spinster guardian keep them apart? This is romance and of course the path of true love is strewn with potholes and bumps. Ms. Spitzer did a good job with her story arc and her ‘bumps’ were interesting for the most part (if, at moments, somewhat unbelievable). It is a clean read and a sweet story. However, there were a couple issues that made staying immersed in the story difficult for me. The first of these issues was head-hopping. There was a fair amount of switching from head to head as people came and went within the story with no indication in the narrative the POV changed. Though I could usually follow the changes, without any indication or separation from head to head, it was distracting. The second issue was a lack of logical choices/actions on the part of certain individuals. At one point I paused in my reading, uncertain if I had read correctly. The action taken by the individual at that point was so out of sync with what was happening in the story, I couldn’t believe it. For me irrational choices are another distraction. I vacillated between two stars and three stars when writing this review and gave it three because the story was sweet. So … if you are looking for a light romance or summer beach-read, this might be the book for you. But be prepared to read it with rose-colored glasses. 5.0 out of 5 starsMichael and Ella Grace Have Problems? to leave the business like his sister and brother did. Ella Grace is , to find a way to keep the Inn running. Mail Order Husband, Michael answers. for them. I think yours will too! It is an excellent, emotional and fantastic book! 5.0 out of 5 starsFrom fun to interesting. Louisa is ons of the girls of Howard House. After the disasters she gets the responsibility for the Inn. No-good-people are after Louisa and the Inn. To solve her problems she put an add for a mail order groom in the newspaper. Michael isn’t happy, he doesn’t want to work with his father in their hotel. When he arrives in Silverpines he doesn’t want to marry....till he sees Louisa. So no problems her, or are there? From the start it was just a fun story but then it gets interesting. I really like all the books in this series, all authors are doing an amazing job. Please let them coming. I loved that this story started off before the tragedies. This story flowed very nicely. The characters were amazing and It set up a future book perfectly. I love how the hero in the book stood up to his dad an supported his wife. Great! Looking forward to more happenings in Silverpines. This is a sweet story about one of the orphans in Silverpines, Ella Grace. Her story was touching and I liked that it gave a glimpse into the home life there. After reading this, I'd love a book about Katie now! This was a tremendously caring storyline. Your characters and storytelling capabilities weave together a captivating and loving tale. Am enjoying this series immensely. First, I Love this series. This book was very good. Some turmoil, some surprises, misunderstandings and forgiveness. Definitely worth recommending to others. Another wonderful installment in the Silverpines series.I loved this book and couldn’t put it down.Great story about a mail order husband for Ella Grace.